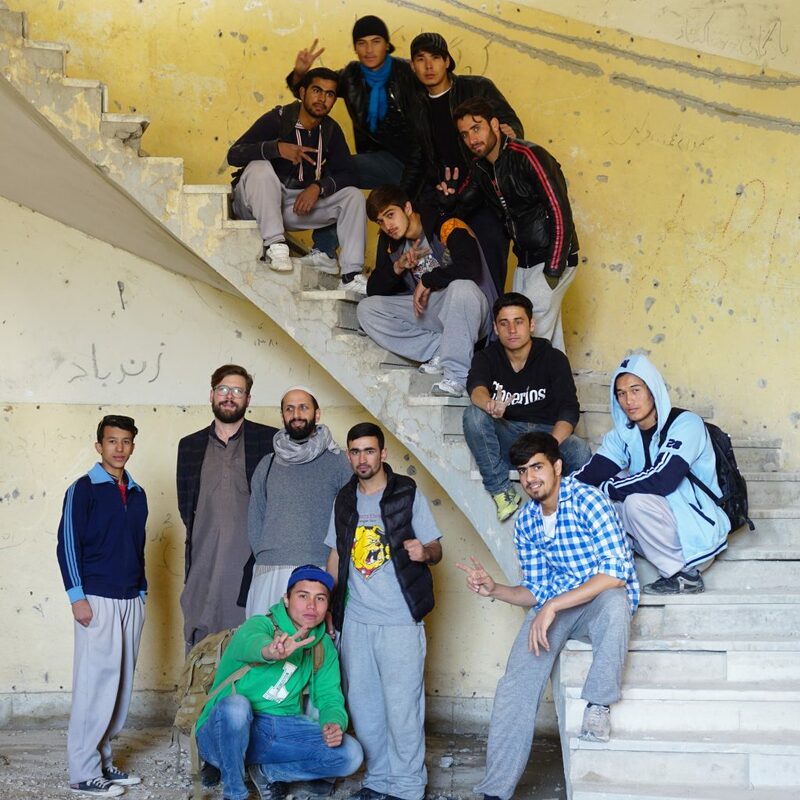 Informieren und spenden: „Kabul Parkour Boys - Make Saltos Not War“ auf betterplace.org öffnen. A group of youngsters refuse to accept a status of unemployment and a hopeless future. 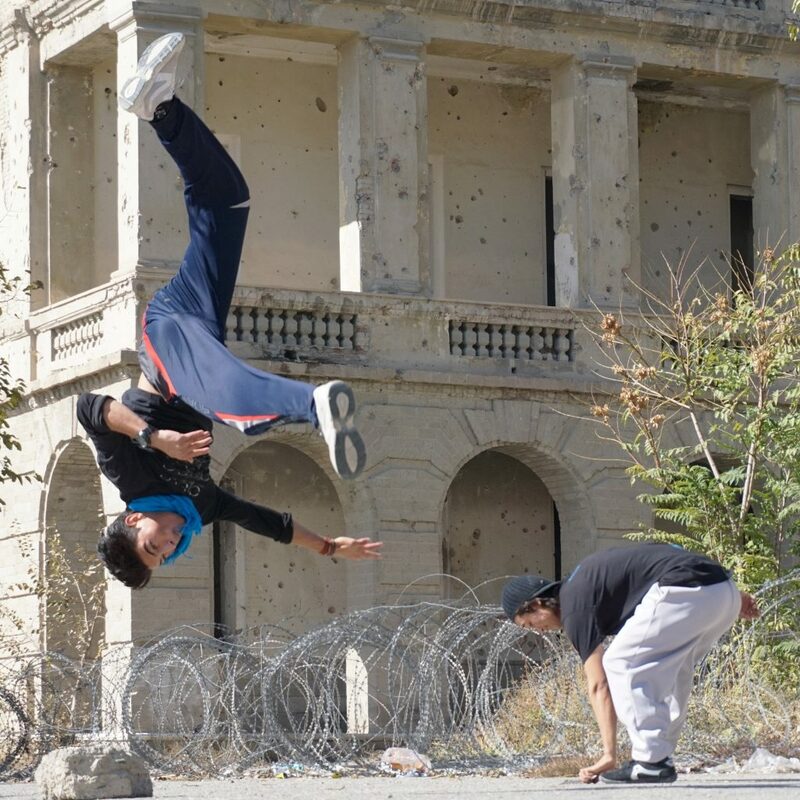 The Kabul Parkour Boys – Afghan pioneers of the acrobatic type of sport called parkour – are using the ruins of the former presidential palace as a training ground. We have spent one exciting day with those moving survival artists. If you want to donate for this project without buying from Conflictfood, you can just use this form from betterplace.org. 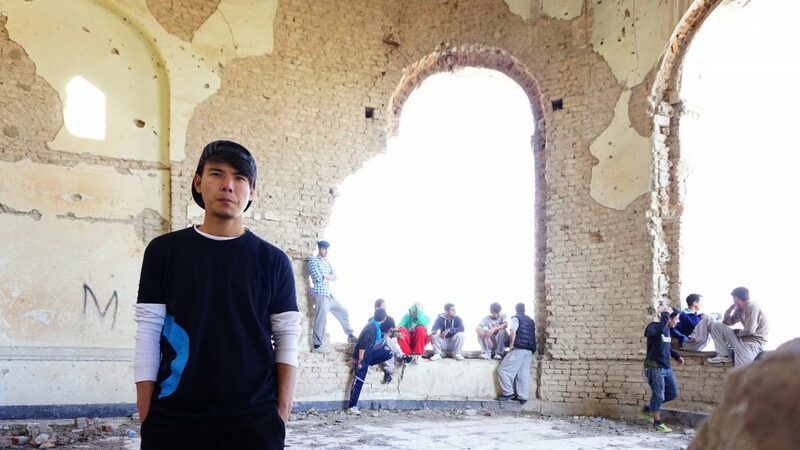 For six years now the Kabul Parkour Boys are training together crossing the whole city. Most of the time the group trains at the ruins of the Darul Aman Palace. 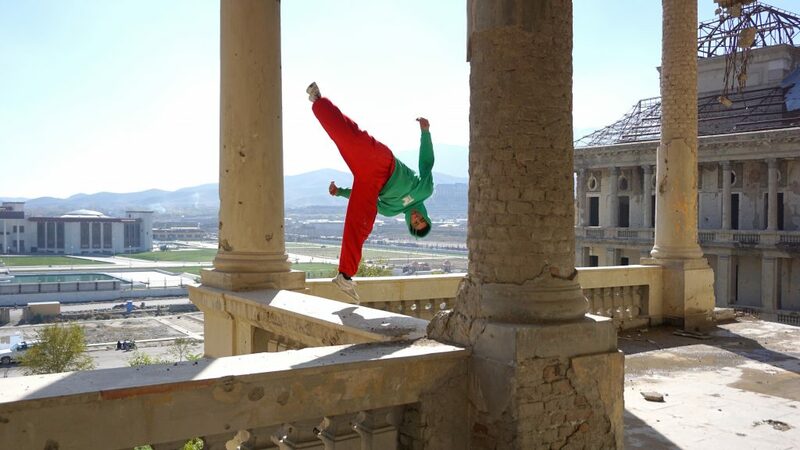 The name of palace – literally meaning ‚The Abode of Peace’ – is also the motto of the Parkour boys. 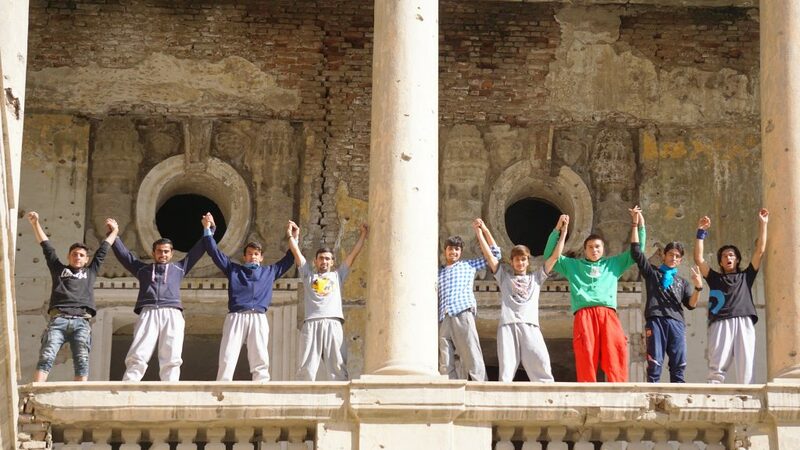 With breath-taking speed, the colourfully dressed boys are spinning through the abandoned rooms of the palace, climbing crumbling walls doing back flips – a powerful contrast program to economic stagnation, hopelessness and the dreariness of the war. Afghanistan is struggling with problems that according to Western standards characterise many of the least developed regions of the world: a chronically weak economy, a rapid population growth and a deficient social system. Many young Afghans can not look into a bright future. Two thirds of the population are under 25 years old, almost eight out of ten youngsters name unemployment as their worst concern. A report published by the Afghan government and the UN uncovers the alarming effects of the hopelessness: Nowhere on the planet so many opium is produced, nowhere so many young people are making use of the countries own drug production. What is my donated money used for? Until now the group does not have any sponsor. Therefore, one important aim is to collect donations to buy equipment and rent a sport facility that makes it possible to train even with adverse weather conditions. More importantly, this would enable Kabul’s girls to join them inside the protecting walls.